Situated in Ella, this guesthouse is 0.9 mi (1.5 km) from Kinellan Tea Factory and within 3 mi (5 km) of Little Adam's Peak and Nine Arches Bridge. Uva Halpewaththa Tea Factory is 3.1 mi (4.9 km) away. Ella Railway Station is 16 minutes by foot. Laundry facilities, a garden, and free breakfast are available at this guesthouse. Free WiFi in public areas and free self parking are also provided. All 5 rooms offer free WiFi, free bottled water, and ceiling fans. A complimentary breakfast is offered each morning. Public areas are equipped with complimentary wireless Internet access. 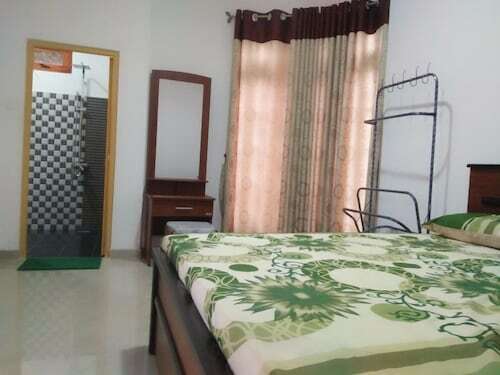 This Ella guesthouse also offers a garden and laundry facilities. Onsite self parking is complimentary. A complimentary cooked-to-order breakfast is served each morning between 6 AM and 11 AM. Start your day with a free cooked-to-order breakfast, available daily from 6 AM to 11 AM.